Nose: Lemon and orange shortbread – buttery and full of zest, with the dark zest of candied peel and chocolate-covered turkish delight. Palate: Cracked coriander seed with a little cilantro and a bright zing of citrus that tingles in the mouth with the floral spice of pink peppercorns. Finish: Violet creams and sweet rose jelly before a sprinkling of pine sugar. Comments: A powerful spirit packed full of flavour. A good choice for a Negroni. 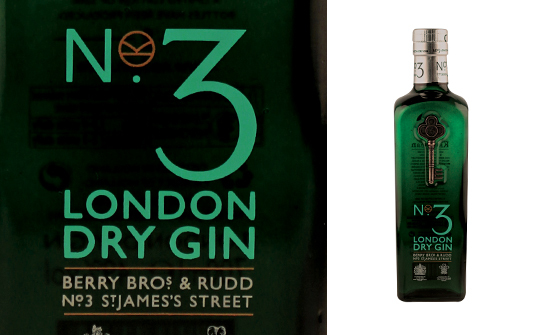 Nose: Juniper, spice and the more earthy notes of angelica give way to lighter floral and grassy aromas. Palate: A mouthful of hot pepper and spice, which eases to reveal a juicy fruitiness and an underlying sweetness. Finish: Dry, citrusy, spicy and slightly herbal flavours linger providing a great length that’s long and warm. a stick of liquorice or a sprig of lavender.